The Foundation for a progressing Ego. 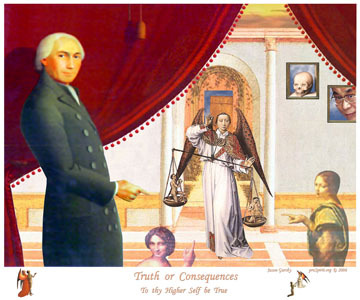 Truth or Consequences is available as a poster from art.com in the following sizes and costs. Shipping and sales tax are extra. Framing is available at art.com, where you can choose your own color matting, frame color and size.